1. Office 365 authorization to your Bitrix24 account: log in to your Office 365 account inside Bitrix24 just once & you'll be able to authorize to your Bitrix24 easy via Office 365 tab. 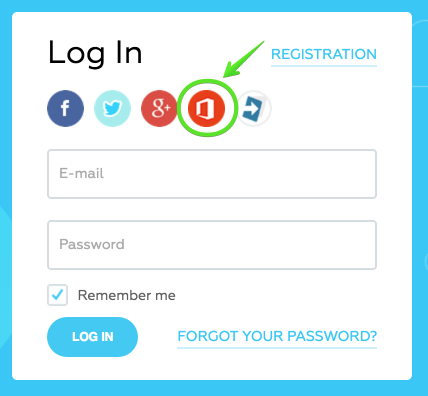 Get rid of multiple passwords & logins! 2. View documents using Office 365 by default: a new option in the Intranet Settings specially designed in order to se t Office 365, Google Docs or Google Viewer to be used in your Bitrix24 by default. Once the method is chosen your collaboration on documents made easy, all files will be always opened by the selected viewer. 3. Edit documents online in Office 365: besides options like Google Docs, MS Office Online and editing via locally installed apps, Bitrix24 users can now securely open, edit and save documents in Office 365 online.